The musings of a wife, mommy, career woman, and student living in the deep south. There is an army base near my hometown so we get a lot of transplants. One such transplant (who’s husband is stationed at the army base) landed a temp position at the company that I work for. One day soon after she started, in the course of everyday chit chat, she commented on how nervous she was when she found out that her family was being stationed in Alabama, and how surprised she was to find out that we are just like everyone else. Yes, she said she didn’t expect us to be like everyone else in the country. I can only assume that she pictured all us women barefoot and pregnant while the men drank moonshine and spit tobacco juice all day. We are not all card carrying members of the NRA. In fact, I have never fired a gun, or ever even held one for that matter. Yes, many Alabamians are pro-gun and pro protecting our second amendment rights, but we don’t all carry a shotgun in the back of our pickup trucks (or all drive pickup trucks) ready to do battle with a fellow redneck, or in case we need to shoot a deer that may be seen grazing nearby. We are educated. In fact, Alabama boasts two colleges ranked within the top 100 colleges in the country, the University of Alabama and A-b-rn University. Sorry, but if I say (or type) it out loud, my husband’s spidey senses will kick in and he’ll just know. If you live in Alabama or have ever visited here, you understand. We are not poor. Well, of course there are poor people in Alabama, but we aren’t all poor. Yes, our average salary is lower than most of the rest of the country, but our cost of living is much lower too. A house that might cost $300,000 in California would only costs around $100,000 here. So we actually live quite comfortably on our lower salaries. 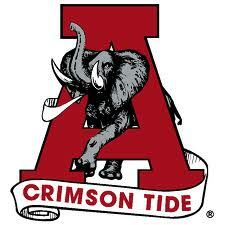 Alabamians love football. No not the NFL, we could care less about the Super Bowl. It’s college football that’s king here. 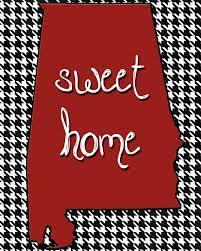 It is required of all new residents (and frequent visitors) that they pick a side, Alabama or A-b-rn (sorry, but we really do take it very seriously). And don’t claim to be a Gators or Bulldogs fan, that is such a copout. In fact, the UA vs. AU game is such a big deal here that last year they let us all go home from work at lunchtime so we could watch the big game (yes, that happened). Alabama is not only home to some of the countries’ most beautiful beaches, they are also some of the countries’ cleanest beaches. It’s true, I saw it on The Weather Channel, so it must be true. Seriously, Orange Beach and Gulf Shores are truly beautiful with their clean white sand and clear blue water. Perfect for that family beach vacation! We don’t talk like hillbillies. Well most of us don’t anyway, there are a few with an accent so thick I can’t even understand them, but for the most part we are articulate. Hence why Mr. Canada couldn’t tell I was from Alabama. Yes many of us say ain’t and ya’ll, but it’s ok because they’re words now. Look them up in the dictionary and see for yourself. Alabamians can sing. Well, we do boast two American Idol winners, that’s got to count for something. I could go on and on, but you get the idea. I am proud of where I come from. I step out of my front door each day and breathe in the fresh air, admire the scenery of rolling hills (and yes, farmland) on my way to work, enjoy the short ride to the beach or the lake whenever I get the whim, and treasure the long-lasting friendships I have made here. Ever heard that people are so much friendlier in the South? Well, they really are. If you’ve ever lived in Alabama, you understand. 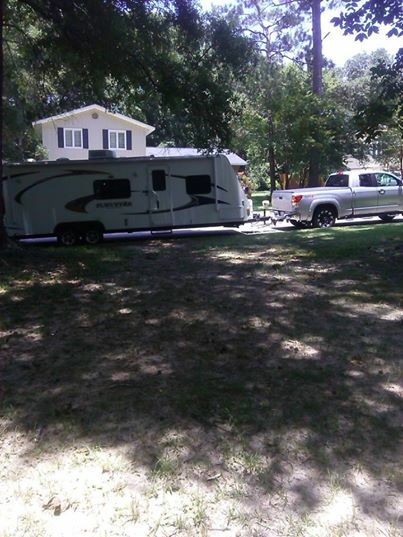 Loaded up and ready to head to the lake! Two of my kids’ first words were “roll” and “tide” (no really, they were). Making family memories at the beach. 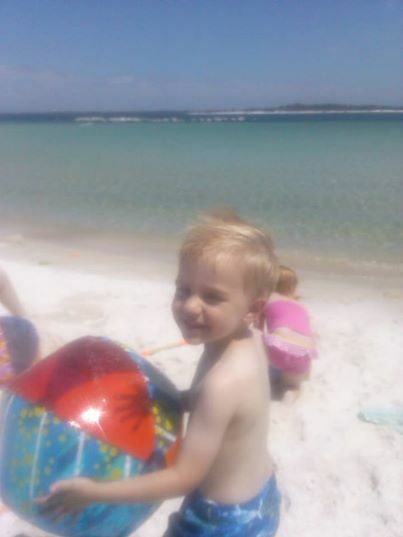 This entry was posted in Alabama, Everything, Family, Healthier Living, Home, Life, Motherhood, Parenting, South, Southern Living, Uncategorized and tagged Alabama, Family, Friends, Happy, Home, Humor, Life, Life 2, Lifestyle, love, Musings, Parenting, People, Personal, Random, Relationships, South, Southern Alabama, Thoughts on July 31, 2014 by Mommy Vortex. Why Eat It When You Can Drink It? I recently decided to try living healthier. Emphasis on the try. Seriously though, both of my parents died fairly young by today’s standards and I want to actually be around to meet my grandkids. So it is time for me to start exercising more and eating healthier. I have no trouble adding exercise to my daily routine. An hour of solitary quiet time each evening while I walk around the neighborhood checking out everyone’s lawn decor and enjoying the fresh air? Yes, please! It’s the eating healthier part that’s the problem. I live a very hectic life so finding time to cook elaborate meals and eat the suggested five small meals a day just isn’t probable for me. I began packing celery and carrots to munch on at work, but had trouble finding the time during the day to actually, well, munch on them. A week or so after I started the journey towards a healthier me, I was sitting in the break room during my lunch break when I noticed a co-worker using the blender to make herself a smoothie and I had an epiphany. Here I had been struggling to find the time (and yes, willpower) to consume the recommended 3 – 4 servings of vegetables a day, when I could of had a V8! I wanted to smack myself on the forehead. I spent the rest of the afternoon giddy with excitement over my V8 idea. It would give me the nutrients I needed, curb my appetite as a meal substitute, and be convenient to keep in the fridge at work. This was going to be life changing. As soon as the clock struck 5 (or 4:55, but really, who’s keeping track?) I rushed straight to the grocery store to grab my V8 before picking the kids up from daycare. I was surprised by the selection, who knew there would be so many different types to choose from? I decided to start out simple by going with the original formula, low sodium, of course. I put the V8 in the fridge as soon I got home, figuring it would probably taste best cold. I did potty time with the kids, fixed them a snack, and got them settled in front of the TV (don’t judge me). I decided that a nice cold glass of V8 would be great while I cooked dinner, and I would probably eat less dinner with all those nutrients and vitamins in me. I poured myself a nice tall glass. The smell was a bit strong, but it was mostly a tomato-like smell and I like tomatoes so I took that as a good sign. 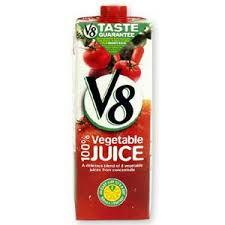 And anyway, it had the “V8 Taste Guarantee” (it said so on the bottle), so no worries there. I got the hamburger meat going in the pan, then picked up my glass and took a nice long sip. I then rushed to the sink, spit it out, and threw up a little in my mouth. That stuff was N-A-S-T-Y. It did it’s job though, I didn’t eat much of my dinner. What do you think? Does V8 do it for you? This entry was posted in Everything, Healthier Living, Life, Motherhood, Parenting, Uncategorized on July 30, 2014 by Mommy Vortex. The business of staying at home...because really, nothing's more entrepreneurial than parenting. A wife and mother full of useful knowledge... and willing to share. Where life's little details mean big things.